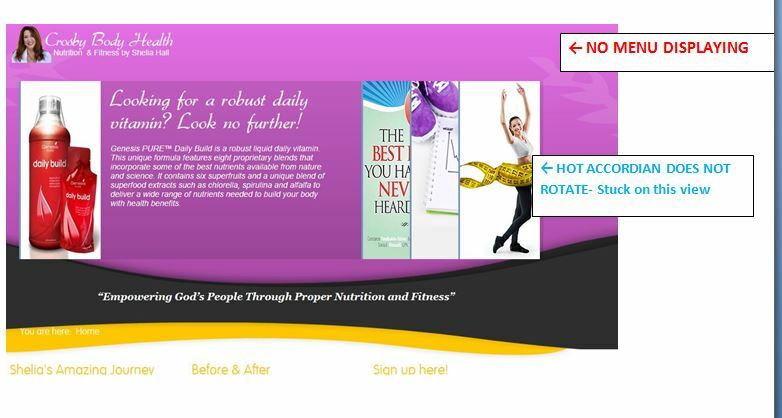 I just recently launched my client's new website using the Hot Wellness template. While the site was in design everything worked & displayed properly. Now that the site is live, the main Mega-menu is not displaying and the Hot Accordian module will not function correctly. Can you please take a look to see what is causing these issues? I have made sure that all modules & menu items are published but cannot find what is causing the problem! Please Help! Your immediate assistance would be greatly appreciated! I will send you Joomla Admin Login when you respond. Send us site url so we can look. For private data you can use "Report To Moderator". Please see screenshot attached. Thank you!